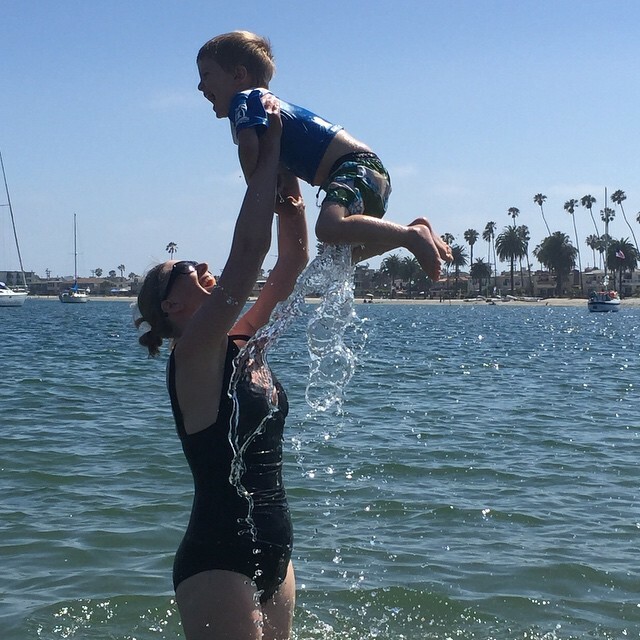 When I was pregnant with our son, Sebastian, I daydreamed about what motherhood would feel like. I made lists in my head of all the amazing and wonderful things we'd do together while I was on maternity leave and as a whole family. I loved stocking his room with books and onesies. I thought we'd go on long walks with Sebastian in the stroller. During the day while my husband was at work, I'd sit at a little cafe table with Seb sleeping in our stroller while I read my book and drank a latte or wrote out thank you cards from our baby shower. My girlfriends and I would still organize nights out to catch up and spend time together. Motherhood would be something redolent of a Jane Austen or Little Women novel. I expected that our road with baby Sebastian wouldn't be perfect. I knew there would be tricky days. Days where I had to call my mom multiple times for advice or support. Days where I didn't feel up for going to the park because we had a rough night. Days when Seb would cry. Days where I would feel sad. Days where I would cry. I knew these days would happen. What I didn't know was the frequency at which they would happen. I absolutely heard all of these warnings and pieces of advice. However, none of them seemed at all to prepare me for the sleepless nights. I knew I'd be tired as a new mom. I never expected the overwhelming exhaustion that would become part of our lives. I completely underestimated the toll this would take on our family and on my mental health. Now, three years into this parenting gig, my husband and I both seem to be finding our groove. Seb's sleep still has tricky days for us. My husband gets up to help those nights. He has since our son was a newborn, and it saves our family in so many ways. I've met other moms and developed a community of friends with children for support and friendship. Parts of this community are also online. I had never read a blog in my life before Sebastian was born. Now I not only read them, but I write one! Plus, Sebastian blows us away with his little (but really not so little) personality all of the time. His sense of humour is my favourite. When he wants to tell a joke, it makes us genuinely laugh out loud. I really didn't expect at the age of 2 or 3, that he'd know enough about real vs pretend or things that are silly to tell us jokes. But he does it all of the time. And he always has this beautiful look of anticipation to see if we "get" his joke. It's pretty adorable. All he wants to do is play, and laugh, and eat snacks. I am constantly thinking of the next game to play, or book to read, or snack to put together for the sole purpose of seeing Sebastian laugh and smile. The moments I see him when he's sleeping peacefully pierce my heart. I just love him so much. I had no idea I'd feel such a physical pull towards our son. I'm not always the mom I thought I'd be. The toddler craft and homemade meal situations are not what I had imagined pre-baby. Despite valiant efforts, "being late" is now part of our vocabulary. Many of my friendships are stronger than ever before; however, I've also had to let go of a couple of friends who struggled to understand my new priorities. The reality of motherhood is that it is challenging. It is probably most challenging thing I've ever done. Or ever will do. And I love it still. Most of my expectations for motherhood were off. For better and for worse, things are different than I had imagined. If I could go back and tell my former mommy-self one thing, it would be reassure her that there is a learning curve to this motherhood journey, but we will get there in the end. 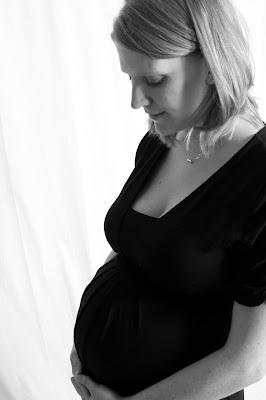 Maternity and newborn photos via Life Photography. 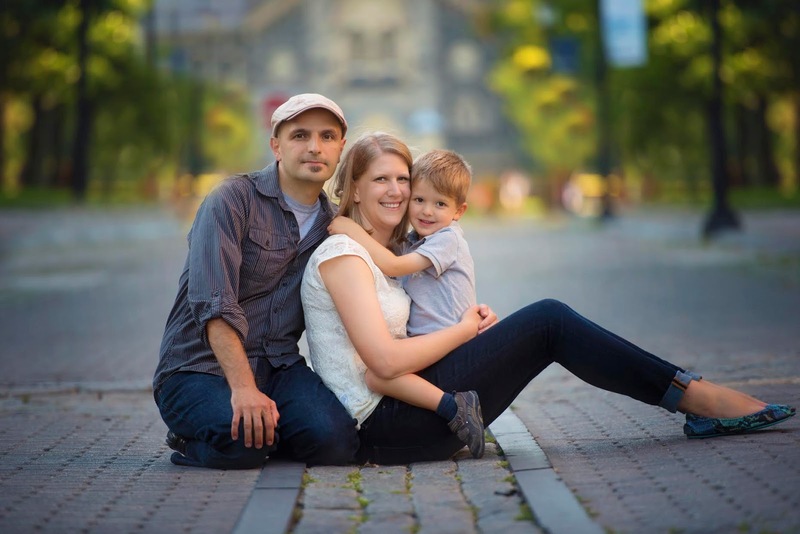 Family photo via Joanna Galant Photography. This post first appeared on Positively Oakes in September 2015.